Eid al Baqar is here finally! 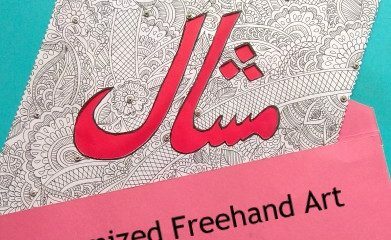 I bought some Eid Cards & gifts for my friends & family but most of the things were not handmade! formal kind of gifts because I were too busy with some of my other business projects & Eid day just arrived! So finally I made a Handmade Eid card for a friend! 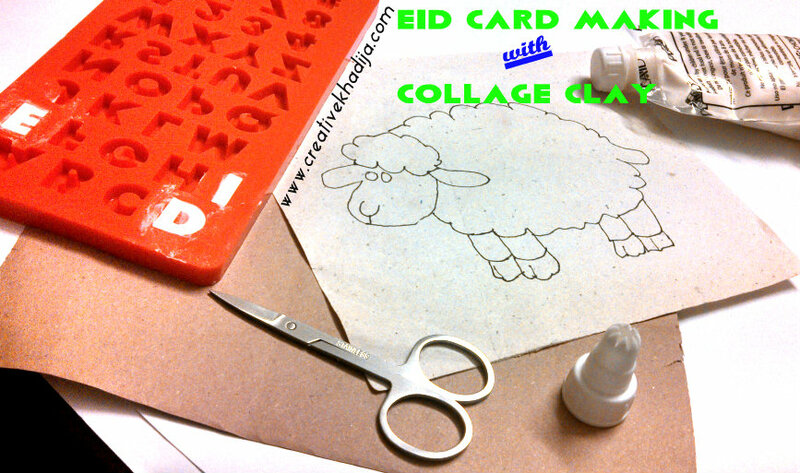 This is a last minute idea of making an Eid Card with a little bit skill, it can also be a kids crafts project. 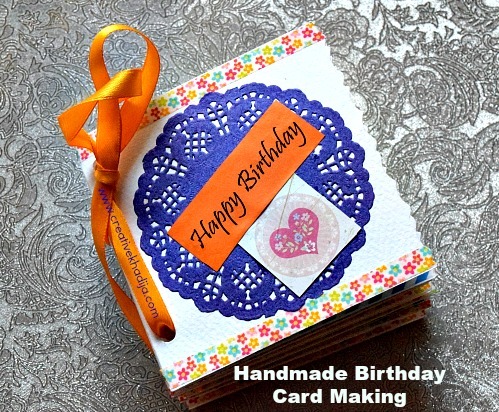 super easy & fun card making! 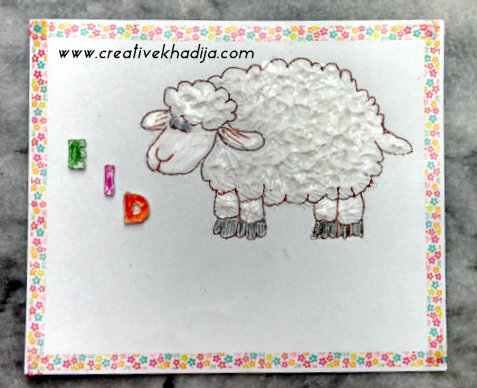 As the sheep & goats, cows & camels etc are the basic part of Eid al baqar Festival, So I made this Eid card with a sheep picture on it. I hope you will like the idea too.. 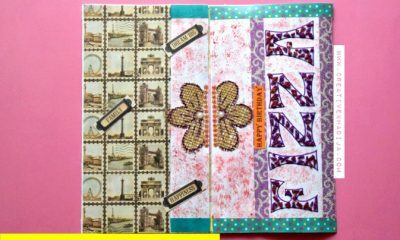 This Card is designed with Mod podge collage clay! 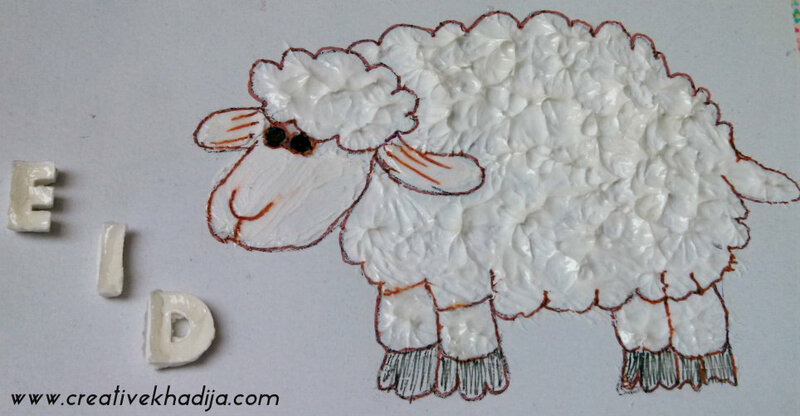 A sheep with collage clay texture seems perfect. isn’t it? 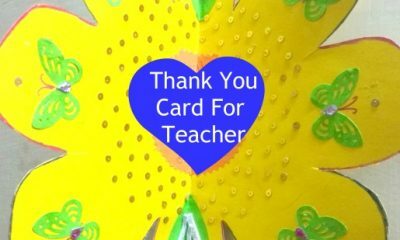 Yesterday Card Making Day was being celebrated worldwide. I am a day late to sharing my Card now but I think better late than never..Right! so here it is my card.. a happy addition! 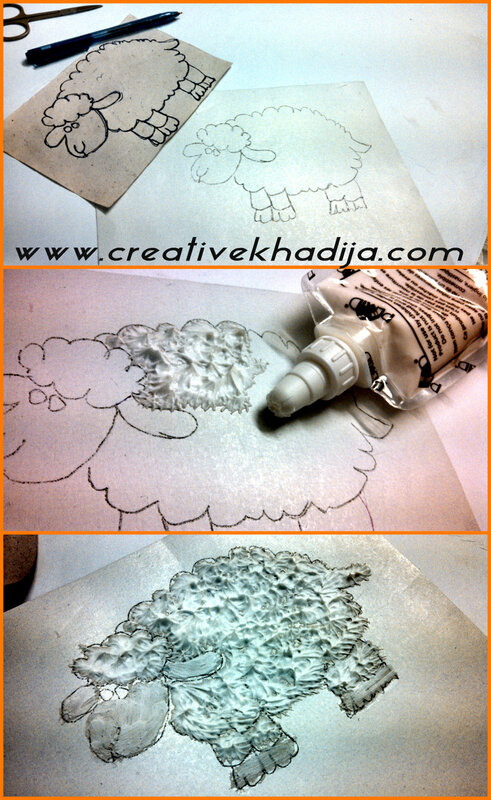 You will need to have any printable for the sheep design. Then make outline with any marker. 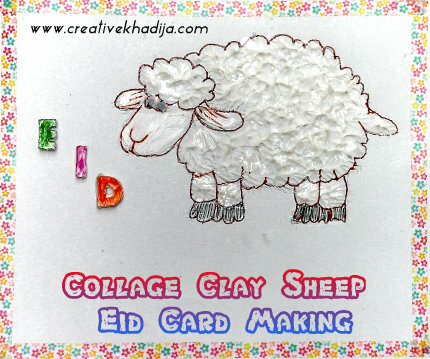 I fill the mold with some collage clay, as it is an Eid Card, so I fill the EID alphabets with clay. I waited for many hours until they get dry! You may remember my Craft Fail I have done while working with collage clay..haha..well I color these later and applied mod podge dimensional magic. so they look like glass alphabets.. Here is the sheep now! Almost done! I make the outlines of the card with a floral design Washi Tape. 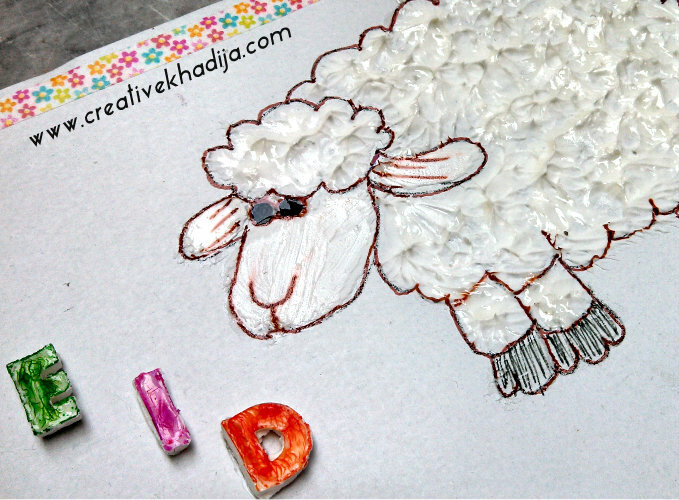 The empty space visible under the sheep & Eid words is for writing the text. I hope my Muslim readers all over the world will be having great Eid day! Thank you so much for sending me Eid wishes a couple days back, but in Pakistan Eid day is here today at 6th October!! Eid Mubarak & Have a GREAT day ahead. You have done a great job. Eid mubarak. Cute little sheep! I have not seen the collage clay before, it looks so easy and useful. Hope you had a good holiday with all the family! Yes, it was fun working with this textures! Thanks for enjoying! Thanks Sahar! I hope your Eid day was okay abroad..
Oh really, its available easily in US. go get yours and have fun crafting with collage clay :) Thanks for well wishes! Thank you Radhika, I made these & wasn’t sure about its result but it went good. as Salaamu alaikum. 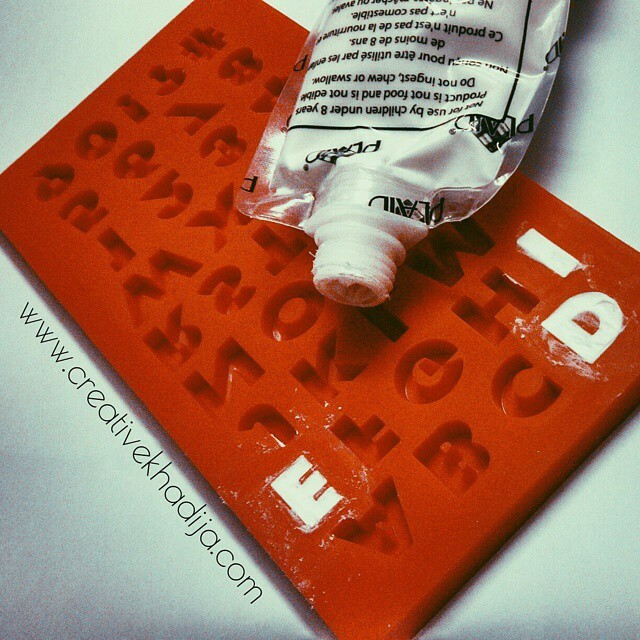 just droppin in via SITS to show another Khadija some blog love! great post. I’m doing a lot of sensory play with my toddler class. this will great for our lesson plan next week. 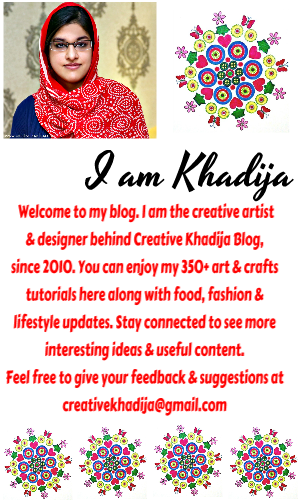 Wa alaikum Assalam, Happy blogging Khadija.. I hope you will be enjoying my blog & will be helpful for you as a teacher! I have never used collage clay. i love the texture of the sheep. The letters look great on the card. 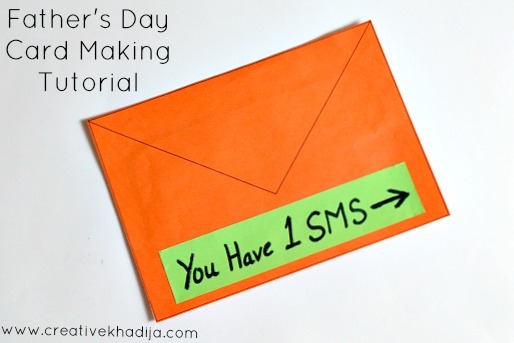 Thank you for sharing on Make It Monday. This is such a cute and creative card. I had no idea what you used to illuminate the wool of the sheep but I like it. Thank you for sharing it with us at the Creative Style Linkup! Thank You! I used the Collage Clay.. you should be checking my review related Mod Podge products! I haven’t used collage clay before. Looks interesting to work with, especially for making sheep! This is so fun and cute…absolutely brilliant dear!